We won’t reveal for you the mystery by claiming that the lovers often use tender words from the songs… Mostly about eternal and true Love… And the idea of gifts with the lyrics from song inside exist as much time as Love itself. We decided to create the collection of the most popular gift ideas of all times that can help you express the feeling when you cannot catch it inside. In addition you can check these 50th anniversary gift ideas if you need something really special for a really special occasion. Read on. Your beloved person will remember you even in the sleep time! 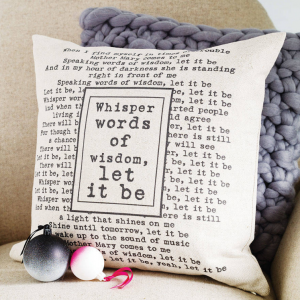 An exclusive pillow cover with the words of love is able to express the most beautiful feelings. The personalized lyrics cushion cover is a perfect gift – nothing is more personal than a song for the person you cannot live without. There are several options about the gift, since you are able to put the words from your wedding vows or the song of your first date on the pillow. Make this cushion a perfect anniversary or wedding gift! If your partner adores reading a page before going to bed, a book with your love story will become a marvelous gift for him/her. Brighten the book with your photos and the best song lyrics for creating the best memories of the lifetime. 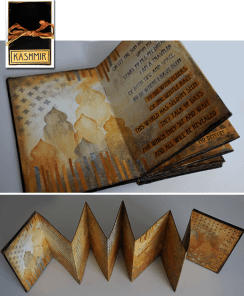 For instance, you can search the Internet and pick out the song lyrics you consider appropriate and put them on the pages of your handmade book. This gift will remind about you when your favorite will drink tea from this cup under the meaningful song lyrics. The cup can become a great gift not only for Valentine’s Day, but also for any romantic occasion such as the first date, wedding or anniversary. 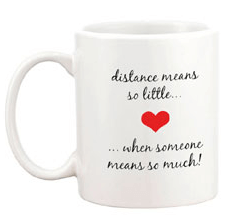 Print the words from your lover’s favorite song on the cup to make it a special and warm gift. Every time your lover takes a cup of coffee, he /she would dream about soon meeting you and taking you into your arms. All ladies love jewelry. There is no exception to this rule. You are able to please your favorite with the jewelry containing precious stones, so a diamond ring or pendant in the shape of a heart with the inscription from the song would become a perfect gift for the woman you love. The other tender options include silver ornaments and jewelry with rhinestones for young ladies who adore listening to the songs in the style of Lana del Rey and Adele. Make an unforgettable present in the form of the flower and decorate it with the favorite song lyrics. The middle tier is hidden behind the upper petals, which are parted to the side. The lower tier should be retractable and contain the song lyrics. The top cover is decorated with a flower in tone boxes. When your lover opens the box, she will be amazingly surprised with a marvelous melody and give you a radiant smile! NEW VIDEO / RUN FOR COVER HITS #1, AGAIN! Thanks for sharing! Some great ideas here!